Flash Cards have proved to be one of the most simple yet effective ways to learn. With Math Flash Cards, learning math is straight forward and natural. Simply select which settings you would like to use and then let the program take care of the rest. 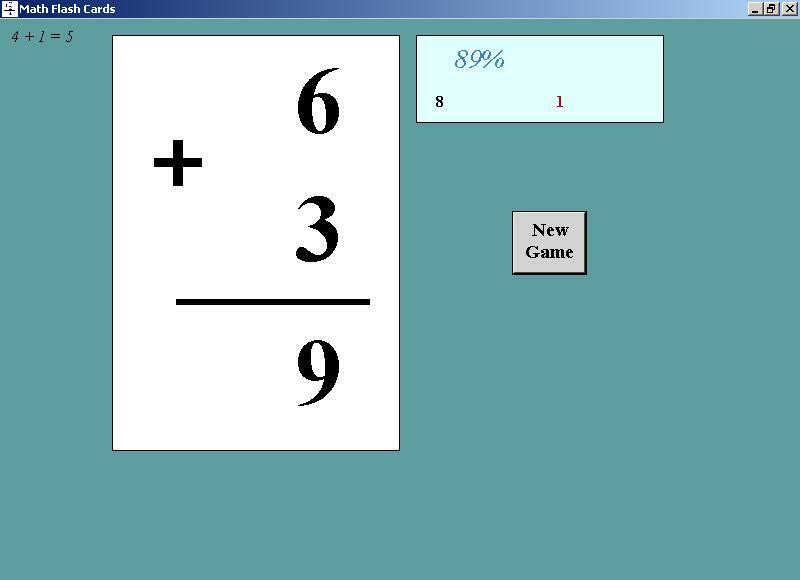 Best of all, you can try Math Flash Cards for free! Test it out for yourself and discover how rapidly your child can pick up on addition, subtraction, multiplication, and division.